stressfree | David Harrison's musings on collaboration and I.T. This update to the Webmin theme includes a patch from Alon Swartz (from the TurnKey Linux project) that fixes a bug in the display of menu icons. Also included are new icons for the LDAP Client module. The updated theme can be downloaded from here. The short story is that Ubuntu uses some very conservative defaults for RAID caching. Whilst this may ensure reliable behavior across a range of hardware, it does mean that for many read/write performance will be lacklustre. The solution to this problem is to define a more aggressive caching options on any software RAID partitions that are in use. Successful Architecture, Engineering and Construction (AEC) collaboration depends on the timely dissemination of relevant information throughout the project team. This task is made difficult by the number of collaboration interactions that occur and the diverse range of digital tools used to support them. To improve this process it is proposed that a collaboration kernel could weave together these disparate interactions and tools. This will create a more productive and efficient collaboration environment by allowing design discussion, issues and decisions to be efficiently and reliably exchanged between team members and the digital tools they currently use. This article describes how Project Bluestreak, a messaging service from Autodesk Labs, can be transformed into an effective collaboration kernel. To guide this transformation, the principles of the Project Information Cloud have been used to evaluate the existing service and identify areas for future development. These fundamental digital collaboration principles are derived from lessons learnt in the formation of the World Wide Web. When these principles are embodied within a digital collaboration tool, they have demonstrated an ability to improve the timely delivery of relevant information to members of the project team. A successful AEC digital collaboration environment brings multiple parties together so that they can productively work towards a satisfactory and achievable design outcome. 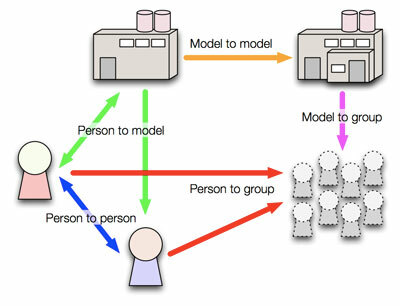 During this process participants must engage in a variety of interactions between team members and the digital models used to describe the design. These interactions, and the technologies commonly used to enable them, are summarised in the following diagram and table. Note: The term 'model' refers to a CAD or BIM digital model that represents the proposed design. 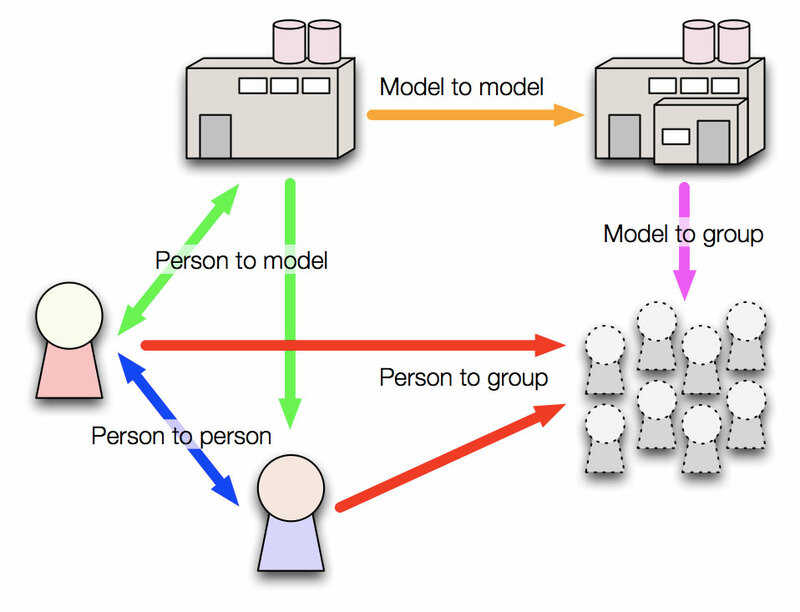 Digital models play an important role in the collaboration process as they communicate ideas, impose restrictions and can be manipulated to reflect a participant's opinion. This script allows you to operate two distinct, fully functional SilverStripe instances and have the content of one synchronised with the other. When running a content management system in a corporate environment it is useful to have an internal 'development' site and a public 'production' site. SilverStripe has a couple of caching options, namely StaticPublisher and StaticExporter, but these generate static HTML files that cannot be easily modified by content editors. This approach allows the development and production SilverStripe servers to be easily synchronised, but in between times, content editors are free to make different changes at each end. This is useful when internally the content of the website is undergoing significant change, but during this time the production website content must be 'maintained'. i.e. You are not forced to 'freeze' your production website, or push internal changes out before they have been properly vetted. The script copies the local SilverStripe MySQL database (sans page revisions) to the production site and synchronises the assets/Uploads directory. Note: Page revisions are not sent to the production site because this takes a significant amount of time and bandwidth. Considering these revisions are stored on the internal development server, storing them in both locations is not necessary. Fixes the missing footer link back to the module index bug. SilverStripe is an excellent, user-friendly content management system but its internal search functionality is, to put it kindly, useless. Fortunately with Google Site Search you can embed a Google-powered custom search engine into your SilverStripe site. Doing so requires a paid Site Search account, pricing for which starts at $100/year. The user is not taken to a separate, Google operated website to view results. The look and feel is consistent with the rest of the SilverStripe site. Multiple Site Search engines can be integrated into a single SilverStripe site. Site Search results pages are integrated into SilverStripe's management console. Note: To integrate Site Search into SilverStripe using the described method a Site Search plan must be purchased as this provides results in XML. The free, advertising supported, Site Search engine does not provide search results in XML and cannot be used. 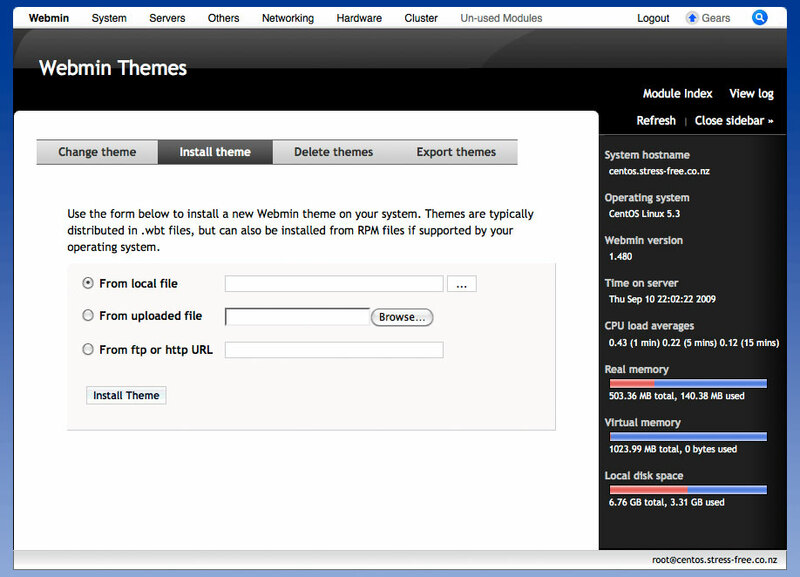 In what is hopefully the last update in a while the StressFree Webmin theme version 2.04 is available. This release applies some spit and polish to the previous release by fixing a few browser bugs, internationalising strings and adding some missing images/styles. One more thing, if you do not like the new "Installed Modules" menu system you can change back to the old system by editing the theme-stressfree/config file and setting the old_menu parameter to 1. By default menus are organised by installed services with a menu for 'Unused Modules'. The theme should work correctly in Internet Explorer 6, 7 and 8. Various graphical refinements including better looking tabs. A "View Logs" link like that found in the default Webmin theme. A large number of new icons for various modules. NOTE: This is a significant upgrade so please make sure that after installing you clear your browser cache, proxy cache (if used) and Google Gears (if used). To refresh the Google Gears cache you must open the Google Gears settings panel and remove the Webmin server from the list of allowed sites. This will delete all the cached files but it will mean you will need to re-enable Google Gears for the site. One of the nice features of VMWare Server 2.0 is that it supports the forwarding of USB devices to virtual machines. Unfortunately when it comes to Linux the VMWare team have leveraged an old method (/proc/bus/usb) for scanning the USB bus which newer distributions, such as Ubuntu Server 8.04 no longer support. Reboot the server and /proc/bus/usb should be functional once more. Once the underlying USB subsystem is configured the USB device needs to be associated with a virtual machine. For this to occur the virtual machine must have the USB Controller added to its virtual hardware configuration. If the controller is not already part of the virtual machine's configuration shutdown the VM, add the device and restart. Assuming there are USB devices attached to the server, once the virtual machine boots a small USB icon will appear within the VMWare web management console. 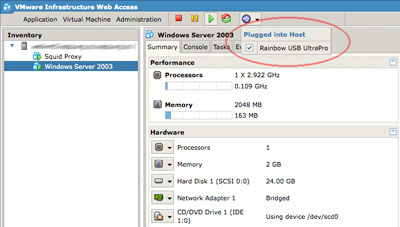 Click on the icon and select the relevant USB device to attach it to the running virtual machine. All going well the USB device will appear within the virtual machine as an accessible device. VMWare Server remembers this selection, so the next time the virtual machine (or server itself) is restarted the USB device will automatically be attached to the running VM.